Randy Finch's Film Blog: Is 微信 (WeChat) a Model for an Alternative to Netflix? Is 微信 (WeChat) a Model for an Alternative to Netflix? Is Netflix paying a fair price for what producers are delivering? Without data (i.e., Netflix doesn't let producers in on the number of viewers, etc. ), who knows? When asked if he was ready to share Netflix viewer data for shows like House of Cards in 2013, Ted Sarandos, content head of Netflix, famously told Variety: "There’s no business reason for us to … other than to create artificial pressure on a show to perform on a short timeframe... We don’t need to add that to the mix. There’s enough pressure in creating television as it is." He has a point. Why should Netflix share? As a subscription-only service, they aren't accountable to advertisers. And - while it would certainly help the indie film industry to set fair values for their work if they knew how many people were watching Netflix shows - the individual producers seem (by and large) to be happy that they're just getting paid by Netflix (as per a Dec. 1, 2015 piece in Vulture): "Even Tina Fey claims not to know much about who’s watching Unbreakable Kimmy Schmidt. “We know that Ted [Sarandos] is pleased, which is great news, but we don't have any actual numbers." Netflix has built a vast database about consumers and films. Why share what they know with producers of their hit shows - who in all likelihood would use that data to bargain for higher fees? What if a Netflix competitor began sharing data with indie producers about the audience - so that the indie producers could bargain for better fees - but also so that the producers could target their core fans and identify who liked what? What about Hulu Plus? They're apparently struggling to hold onto subscribers. Somehow, I doubt that Hulu will pivot as radically as I am imagining. The hands on the wheel at Hulu may be handcuffed to deals with legacy producers. And Hulu seems mired in Old World thinking (e.g., Hulu's latest most premium "no commercials" service still sneaks in some ads). Maybe... But will Amazon Prime - another big money player in the online market for motion pictures - be any more willing to share their data than Netflix? Isn't capturing the data for their own e-commerce purposes a huge part of Amazon's media play (apparently Prime users spend twice as much on Amazon's e-commerce site as non-Prime shoppers - per Consumer Intelligence Research)? And, when asked by Consumer Reports in June of 2015, Amazon would not disclose precise information about simple stuff - like how many motion picture streaming titles it offered to Prime subscribers. Maybe we should look a bit further afield for a model that might work for film producers who want to know how many people are watching their creations - and who their core fans really are. 微信 - "Weixin" - also known as WeChat outside China - is an immensely popular mobile app in China. Originally developed by a team under Allan Xiaolong Zhang at Tencent's Guangzhou Research and Project Center, 微信 provides the functionality of a communication app with some very significant improvements from the user's perspective. 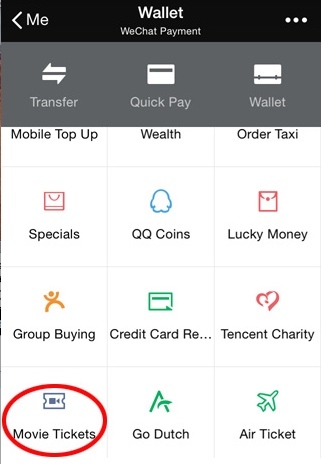 In China, 微信 users can pay for products and services without leaving the 微信 app. That means 微信 users can order and pay for a taxi from China's leading rider service, DiDi DaChe, or order food delivery from Waimai.net, and handle it all - including payment - from inside the app. But what (if any?) are the advantages of 微信 from the content creator's perspective? Actually there are many. But lets focus on how 微信 helps businesses to identify and interact with their most enthusiastic fans. Remember, 微信 is the most popular communication app in China. And each time a user shares content (e.g., about a purchase from an online store that has been set up inside the 微信 app) or about a specific campaign (e.g., a discount coupon or a similar promotion), 微信 gathers that information. Then - and this is the part where every filmmaker should be perking up - 微信 will provide the store owner with reports that provide all sorts of valuable information about actual sales but also about the social media activity of core fans: I. e., "Who are your most influential followers. Who are they connected with? How does your message spread through your network?" Armed with this "key influencers" information, a business owner (filmmaker or other artist?) can reward the super fans: Offering them exclusive content, special discounts, and otherwise empowering them to further become a brand’s ambassadors. That, in a nutshell, is 微信's model for e-commerce. Examples of artists using 微信? Purpose-built for 21st century functionality, 微信 allows for creators and fans to interact. The success of 微信 is undeniable. After launching in January of 2011, 微信 has grown to over 600 million active monthly users as of today - Dec. 5th, 2015. Could Western motion picture producers someday use 微信 itself to monetize films - and even interactive content (like VR?) inside China? Perhaps. My point is this: Perhaps someone could develop a Western motion picture platform that challenges Netflix's tight-lips by sharing huge amounts of data with the filmmakers. Wouldn't indie film culture benefit from an online platform where data about key influencers on social media was part of the service? Is the 微信 model - or key parts of it, like merging social sharing, valuable analytics and film revenue into one app that rules them all - one possible future for indie film? In the concise and helpful Mediatwits podcast below, notice the concern that John Heinsen expresses (from the producer's side) over "not knowing if you're losing money." 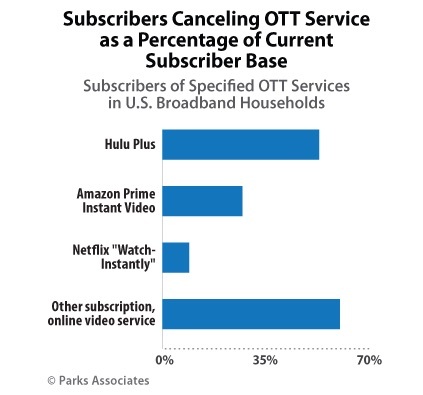 And he and the other Mediatwits panelists also identify some big issues with the current options for streaming in the US from the consumer's side as well. For starters, I agree that the optimal streaming service would find a way to remove the cumulative cost and friction of multiple video streaming services. Consumers want convenience. In an ideal world, there would be one monthly subscription to satisfy an entire family's motion picture needs. That ideal world may never exist. But what if there were a single motion picture platform that offered an alternative to Netflix - with a diverse group of producers supplying content and in return receiving a share of revenue based on actual engagement with their content. Could this ideal service also offer access to data about how to more efficiently create and market motion pictures? I suspect many indie producers would prefer being on a platform that rewarded the more successful producers based on actual user engagement. That would require transparency about total viewership. And, in the age of the internet, couldn't a streaming service also give each producer access to confidential data about that producer's own core fans? To me, this seems like something an existing streaming service - or a social-media platform moving into motion picture content - might want to consider: A revenue model that offers users a diverse array of original content and rewards producers based on engagement with the films + gives producers the tools to reach out to core fans to build that engagement. 1) The US Video Privacy law, effective since early 2013, apparently allows users to opt out of sharing data about their video rental histories. Companies building a platform based on sharing data with producers should consult an attorney. 2) 微信 has been able to add an array of useful features around their core communication tool. But they could stumble - at any time. Perhaps they already have. The app may have screwed up by introducing advertising in early 2015. Part of the charm of 微信 was that it was an ad-free zone. But that seems to be changing. At least on the Moments platform. Another concern? 微信 may start to suffer from the bloat that compelled Facebook to spin off their messaging function into a separate app in 2014. UPDATE: July 29th, 2016 Here is a link to an amazing English language guide to using WeChat.